It incorporates almost all the aspects of ahara (food), one of the first and foremost Upastambha (basic sustainer of life), given much more importance and considered to be the best in Ayurveda. It's significance can be well appreciated during intra-uterine life, even from the very day of conception as well as in post-natal and adolescent periods, where ahara as a diet embodies all the six rasas which generate and control all the dosas and contribute in the formation of all the seven body tissues. In this work, an effort has been made to shape it in a style familiar to science of medicine dealing with the ahara and its nutritional significance in respect of health and disease of mankind. Entire subject matter has been arranged into five broad headings i.e. 1. History of Diets, 2. Importance and classification of Diet, 3. The different types of aharas, 4. 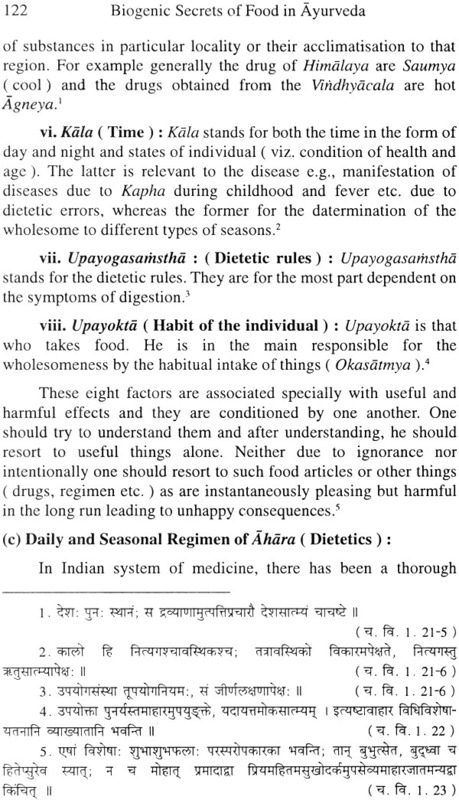 Unwholesome aharas (dietetics) and diseases, and 5. The principles of aharas (dietetics), each representing an independent chapter. The utmost aim has been to make the text understandable to any interested reader belonging to anyone of the integrated or modern medical discipline but with a background of general, scientific education. The present endeavour will fulfil the need of society, at both, our national and international levels, in maintenance of health and prevention of diseases, by infusing the knowledge pertaining to principles of ahara. Dr. L. P. Gupta was born on 15th July, 1937, at Majhawa Village, Disc. Mirzapur, (UP). He completed his B. Sc. in 1956, from Science College, BHU. He obtained his A.B.M. S. degree from Ayurvedic College, BHU, in the year 1962 and completed his Ph. D work in 1971. After completing House-manship in 1963, he worked as a Ciba- Research Fellow for one year and then joined as a demonstrator in the Dept. of Basic Principle, I.M.S., B.H.U. in 1964. He became Lecturer in 1968, and was appointed as a Reader in 1984. He received 1st prize of "Shri Hari-om Ashram Gold Medal Award", based on all India competition, in the 13th Annual Convocation held on 22nd Dec. 1986, Gujrat Ayurvedic University, Jamnagar. Dr. Gupta has published many books, monographs and research papers in various National and International Journals. The present book is the latest in the series of his basic and fundamental contributions in the field of Ayurveda. 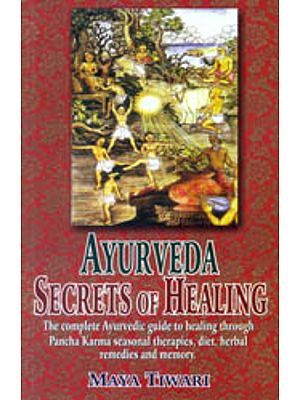 Other famous books are "Positive Health Through Ayurveda" and "Essentials of Ayurveda" dealing with the non-medicinal measures to keep up the health and the basic footings to understand the Ayurveda as a whole, respectively. Out of three Upastambhas (supports of life) i.e., Ahara (Diet), Svapna (sleep) and Brahmacarya (observance of celebacy); the first one has been given more importance and considered to be the best in Ayurveda. A proper, skillful and optimum use of this triads, leades human body to maintain its integrity, being enriched with Bala (phisical and immunological strength), Varna (complexion) and Upacaya (growth or nourishment), till full length of life, provided the person concerned does not get involved in the regimen detrimental to health. The term Upastambha comprises of two words i.e. 'Upa' and 'Stambha', where first one conveys the sense of support or help and the latter one signifies the idea Of pillars. As an entire architect of a building is maintained by its two types of primary or main and secondary pillars, similarly, the human body, being dwelling place of Atma, has got Tri-dosas i.e. 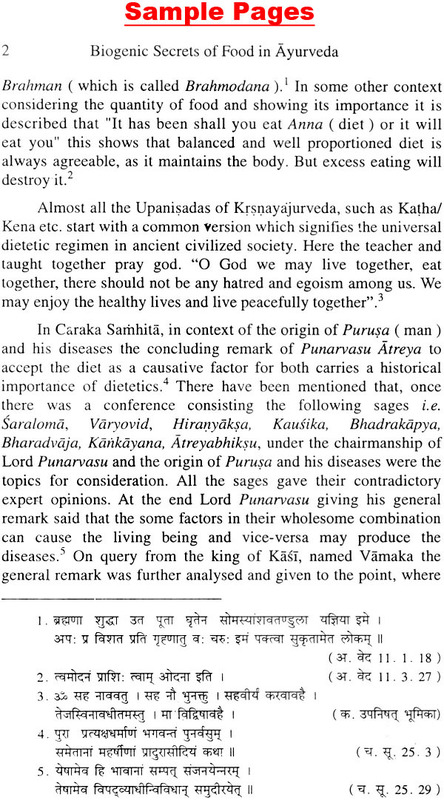 Vata" Pitta and Kapha as main supportive pillars and Upastambhas as secondary one. Susruta has also agreed with this principle and recognised the role of Tri-dosas being duly supported by Upstambhas even in existence of life, as such. The significance of Ahara can be well appreciated during intra-uterine life, even, from the very day of conception. During these days, it is mainly met by mother but Ahara as diet embodies all the Rasas which generates and controls all the body Dosas and contributes in the formation of all the seven body tissues. After the delivery, Svapna (sleep) also becomes necessary along with the Ahara and both are unavoidable for the growth and maintenance of the body, the Brahmacarya requires its special care during the days of maturity and adulthood. Thus, these three Upastambhas act as a main supportive pillars though secondary to Tri-dosas which uphold and maintain the integrity of the body. A regulated practice of these three bless the life happy and smooth running, otherwise it brings disharmony and make the same troublesome. Supporting this fact, Caraka says that the sinful acts and unwholesome diet are the two important factors for the causation of diseases. In the absence of these factors, the individual becomes free from all diseases. It has been well recognised that individual having a healthy body can only properly afford to perform all the activities leading to happiness, heaven and salvation and for the preservation of health, an alertness towards Ahara is essential as it is a basic factor for the attainment of all of them. Considering the utility of Ahara or food Caraka has stated that it sustains the life of living beings and in this universe they run after it. Complexion, clarity, good voice, longivity, geniusness, happiness, satisfaction, nourishment, strength and intellect are all conditioned by Ahara (food). Professional activities leading to happiness in this world, Vedic rituals leading to abode in heaven and observance of truth, Brahmacarya leading to salvation are all based on Ahara (food). Recognising the biological responce of Ahara, Susurta has also stated that it nourishes as well as instantly promotes strength and keeps up the integrity of the body. 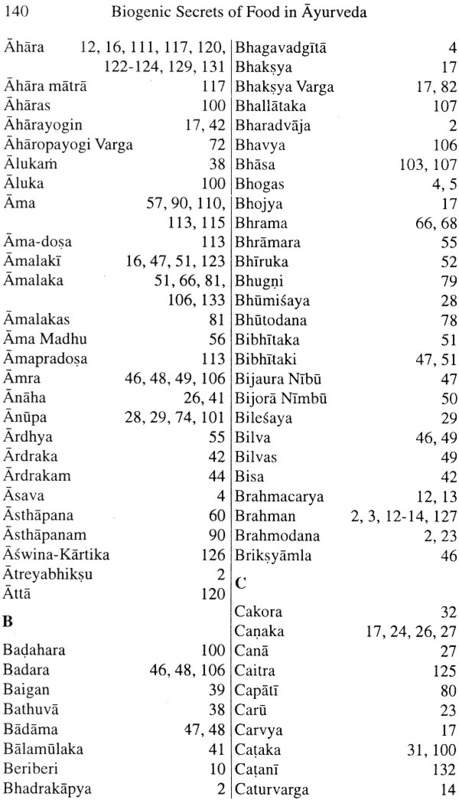 The span of life, lusture, enthusiasm, memory, Ojas and digestive fire too are increased and dependent to Ahara. Vrddha-Vagbhata has accepted Ahara as a causative factor for the desired sense objects and life itself as Ojas, lusture, body tissues, acuteness of the sense, body strength, delightness, plumpness, complexion and disease free state of the body are totally governed by it. So much so, that even the existence of digestive fire is only because of Ahara and thus it keeps up the integrity of the body. 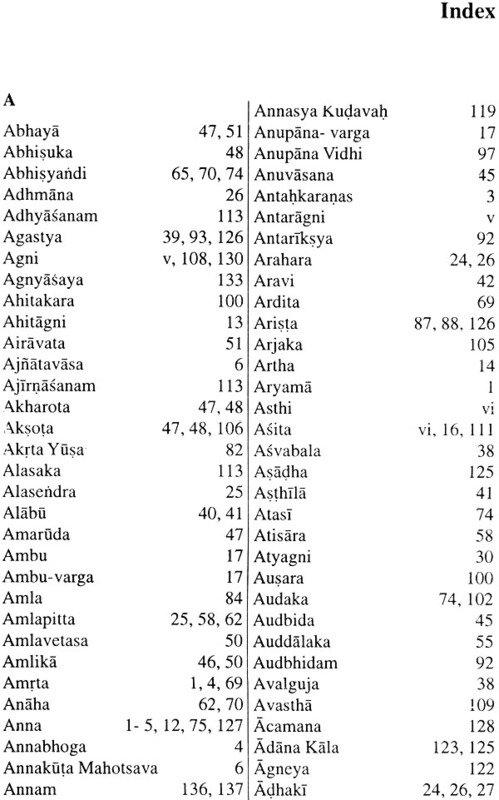 Biogenic contributions of Ahara in terms of metabolic transformations being directly governed by Jatharagni (acids and enzymes responsible for gastro-intestinal digestion) and the resultant effects apparently seen in maintenance of the body tissue elements by means of its growth and repair processes were well known, in greater detail to ancients. 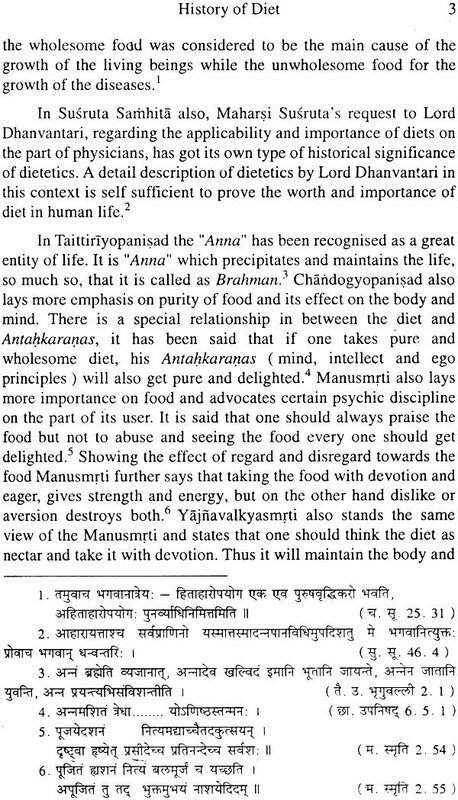 The strength fullness and plumpness in an individual body is only possible when he utilises his wholesome Ahara (food). Ayurveda believes that Ahara articles are composed of five Mahabhutas and respective Bhutagnis digest their own ingredients during process of digestion and metabolism but- only when they are stimulated by Antaragni. 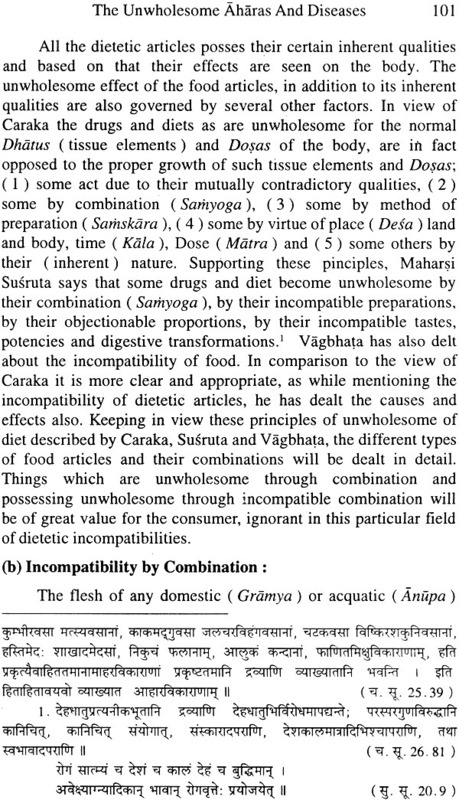 Depicting this whole digestion and metabolic transformations of Ahara and its biological responses, Caraka says that being stimulated by Antaragni, the Agni (Bhutagni) digest all the fore type of Ahara (eatables, beverages, linctus and masticable food articles) and thus contribute plumpness, strength, complexion, happiness as well as growth of the entire tissue elements of the body where the process of metabolism goes on incessantly like the passage of time and where all the Dhatvagnis (factors for tissue metabolism), Vata (factors responsible for transportation of metabolic products from one place to other) and the channels of circulation are unimpeded. Being fed by their nourishing factors (Posakadhatu), the various tissue-elements of the body are maintained with normalcy. 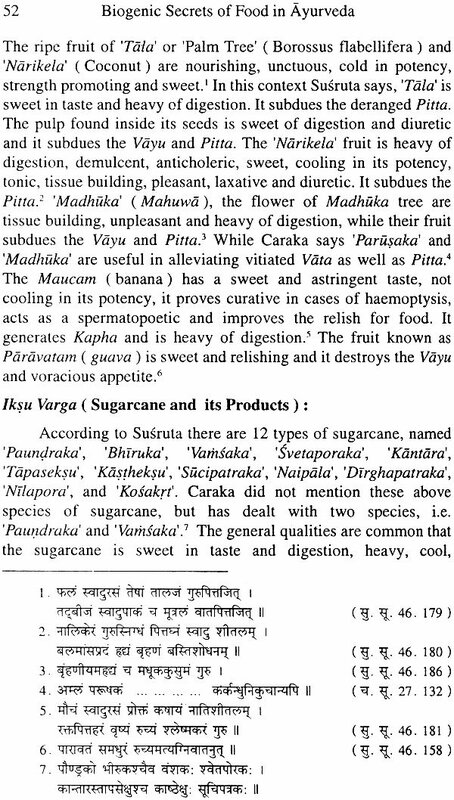 Further, giving specific account of digestion and metabolism of Ahara and its nutritional values Caraka has rightly mentioned the end products in the form of Prasada or the essence, also known as Rasa, and the Kitta or refuse. The latter provides nutrition to sweat, urine, stool, Vata, Pitta, Kapha, excreta of the ear, eye, nose, mouth, hair-follicles, as well as genital organs and also to hair of the head, beard, small hair of the body, nail etc. 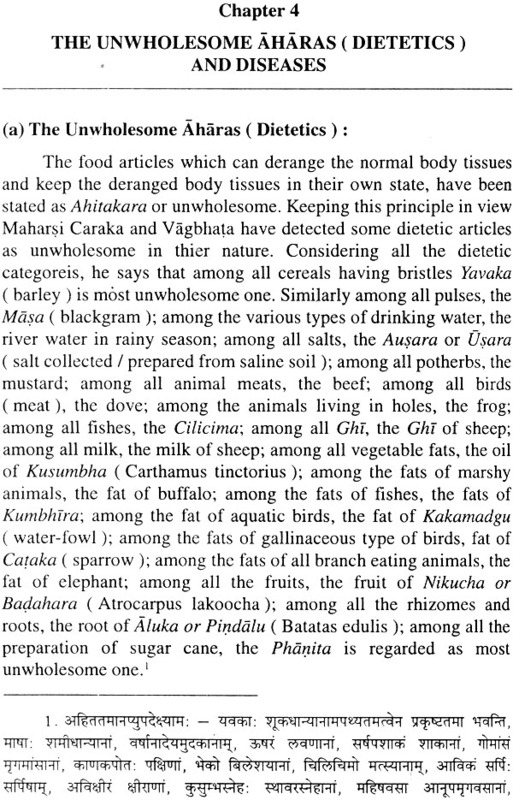 The former, that is the essence of the food, provides nutrition to Rasa (all the fluid components of the body), Rakta (haematocrite components of the body), Mamsa (muscular tissues), Medas (adipose tissues), Asthi (oseous tissues), Majja (marrow tissues), Sukra (seman as reproductive tissues), Ojas, the material constituents of the five sense organs which are the essence of the tissue-element, joints, ligaments and mucin etc. of the body. The digestive products of Ahara mainly follow three independent processes of transformation i.e., (i) Ksiradadhi-nyaya (the law of transformation), (ii) Kedarikulya-nyaya (the law of transmission), and (iii) Khalekapota-nyaya (the law of selectivity) to reach the different tissue-elements of the body. Subsequent fate of Prasada and Kitta, like end products of Ahara, particularly at this level of tissue metabolism to meet the requirement of different types of Dhatus and its role in manifestation of diseases and maintenance of health, have been lucidly understood and described by ancients. In view of further transformation of digested Ahara, it has been said that the pure as well as waste products (of digestion and metabolism) enter into various channels of circulation and circulate through them. These channels carrying specific nutrient material provide nourishment in required quantity to various Dhatus. Thus the body happens to be the result of nourishment drawn (in four-fold manner) from Asita (eatables), Pita (beverages), Lidha (linctus) and Khadita (masticables). Diseases are also manifested in the body by the Ahara (food) taken in four fold manner (viz., eating, drinking, licking and masticating). Intake of wholesome and un-wholesome Ahara (food) is responsible for the maintenance of the health and production of diseases, respectively. 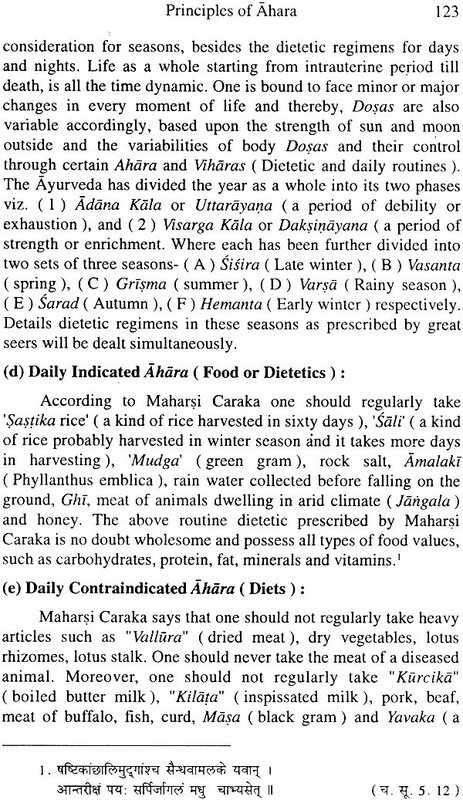 All recorded history shows that Ahara (food) has played an extra-ordinary vital role in the rise and growth or fall and decline of nations because of its direct effect on the health and efficiency of population. In fact, the history of the world could probably be written in terms of Ahara or food. Since earliest time it has been considered in the list of both cause and cure of diseases. The constitutions that suffer quickly and strongly from errors of Ahara are weaken than that do not; and that a weak person is in a state very nearly approaching to one in diseases. To human body it makes great difference whether the bread be fine are coarse, of wheat with or without hull, whether mixed with much or little water, strongly wrought or scarcely at all, baked or raw. Those who pay no attention to these things, or paying attention do not comprehend them, how can they understand the rationality of Ahara and the diseases which be fall a man. By everyone of these things, a man is affected and changed this way or that, and thus whole of his life is subjected to them, whether in health convalescence or disease. Nothing else can be more important or more necessary to know than these various aspects of Ahara.